Vardhman Industries Ltd. manufactures Galvanised Coils, Plain and Corrugated Sheets confirming to international standards. Be it electronic faculties or any type of construction job, this Pre Painted Galvanized Coil is a chief component to ensure smooth flow of work. We are ranked among the dependable Suppliers and Exporters of a wide array of Pre Painted Galvanized Coils. Being a client centric organization, we are involved in offering a wide range of GI Coil. Precisely designed and developed these products are widely recommended by clients owing to its smooth finish, optimum quality and rugged construction. Our products are acknowledged for their corrosion resistance and optimum strength. Having a definite quality management system, we are immersed in bringing forth a top class consignment of GI Coils. 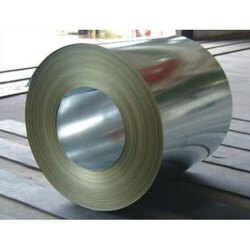 Pre Painted Galvanized Coil Be it electronic faculties or any type of construction job, this Pre Painted Galvanized Coil is a chief component to ensure smooth flow of work. We are ranked among the dependable Suppliers and Exporters of a wide array of Pre Painted Galvanized Coils. GP coils of all sizes and quantity both branded and non-branded available . We also undertake large projects & bulk orders. We can vouch , our pricing will be the best for you. 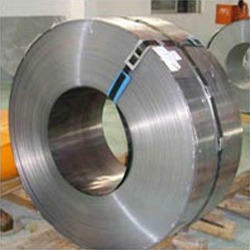 We are the top leading manufacturer of Galvanized Coils. These are made up of excellent quality of raw materials. We offer these coils to our purchasers in various sizes and dimension. Galvanized Coils are used for power, automobile and fabrication purpose.